Great for DJs along with clubs and discos the Triclops is an exciting stage effect which creates an incredibly dramatic effect projecting amazingly bright, sharp LED beams that pan and tilt over an extremely wide area. Considering purchasing the Equinox Triclops DMX LED Effect? Have questions? Ask people who've recently bought one. Do you own the Equinox Triclops DMX LED Effect? Why not write a review based on your experience with it. 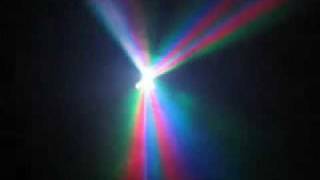 Seen a video for Equinox Triclops DMX LED Effect online or have you own video? 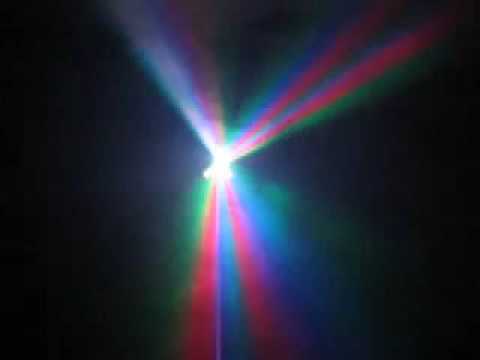 Check out Equinox Triclops DMX LED Effect on DJkit.com!